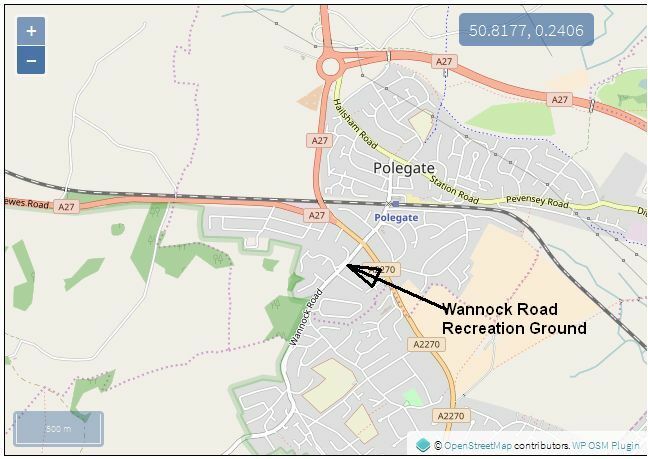 ALL WALKS (except Leisurely Walks) depart from Wannock Road Recreation Ground at 9.30 a.m. prompt unless otherwise stated. See the panel on the left – ‘Where to meet’ – for a location map. LEISURELY walks – 2 to 3 miles, generally avoiding hills and poor surfaces, taken at a leisurely pace. SHORT walks – approx. 5 miles at a moderately brisk pace and finishing around 12:30, includes a 15min stop at a grassy spot for a drink if you’ve brought one. SATURDAY walks – approx. 5 – 6 miles at a moderately brisk pace and finishing around 12:30, includes a 15min stop at a grassy spot for a drink if you’ve brought one. Printable versions of the Walks Programme are available on the Downloads page. WANNOCK AND BACK. 4 ½ miles 2 stiles. Up and over to Jevington. Sue 07903 220544 and Louisa 640640. SPRING TIME DOWNLAND RAMBLE. 12 miles Some stiles. Coast, hills, cliffs. Stop at Birling Gap. Picnic. PLEASE MEET AT THE RECREATION GROUND where Mick will provide details of changed start point. Colin 07446 458138. SVP 50p + c.p. charge or use Residents’ cards. Flat walk around Polegate. Hope to see Spring flowers and then to the café. Sandra 483991. Meet outside Medical Centre 10.00am. IN SEARCH OF BLUEBELLS AND PRIMROSES. 4 ¼ miles 6 stiles. Footpath close to River Cuckmere, a pretty bridleway, a wood and returning across farmland. CHIDDINGLY CIRCULAR. 10 miles 10 stiles. EAST DEAN MEETS WEST DEAN AND RETURN. 5 miles approx. 3 stiles. Up to Friston Pond, crossing A259 into Forest. OFF TO THE RACES. 10 ½ miles approx 15 stiles. Plumpton College, Streat, Ditchling village and Common, Plumpton, East Chiltington. Fields and woods. Fairly flat. Approx. 15 Monday group stiles. Picnic. Angela 01444 213846 or 07765 465444. SVP £3.70. LEADER AT START. then bus 12 to the Seven Sisters Country Park. SPRING ALONG WITH EWE AND US. 5 ½ miles 2 stiles. East Dean, Friston, Butts Brow and back. Downland. LET’S GO NUTS IN MAY. 9 ½ miles 1 stile. Circular from Butts Brow to East Dean. Friston and Jevington. Countryside and woods. Some steep slopes. Picnic. Jayne’s for tea. Jayne 500855 or 07775 631499. SVP 50p + c.p. charge or use Residents’ cards. TO THE MANOR BORN. 5 ½ miles 3 stiles. From Polegate rec to Wannock, Folkington and Wilmington return. Pathways, fields and tracks. Beautiful views. Some hill work advising sticks. Judy 486756 or 07802 877514. Gill 391976 or 07547 005058. SVP 50p + c.p. charge or use Residents’ cards. IN SEARCH OF TILLEY. 5 miles 14 stiles. Meet 10am Polegate Station. Walk to St. Mary’s Walk. Countryside. New Estates. Cuckoo Trail. Flat easy walking. Coffee at end. From Polegate rec flat walk along country lanes. 30 mins coffee stop at Hillier’s. 1 stile depending on route/weather. Pamela and Helena 07922 473609. AN OLD FAVOURITE OF MINE. 9 miles 5 stiles. From Polegate rec to Wannock, Folkington, Milton Street and Wilmington return. Pathways, fields and tracks. Beautiful views. Some hill work advising sticks. Picnic. Mick 486756 or 07484 104460. Undulating. Two short steep inclines. Wannock and Jevington, returning via the Downs. CELEBRATING 50 YEARS OF WALKING. 8 ½ miles 3 stiles. East Dean, Butts Brow and Jevington. Well known downland paths. Picnic. 50th ANNIVERSARY CELEBRATION at East Dean and Friston Village Hall – from 2:30pm. Meet 9.45 for bus 51 outside Taxi office to Eastbourne, then bus 12A to SDW stop. Alight and walk across golf course to East Dean café. EAST DEAN CIRCULAR. 5 ½ miles No stiles. Two hills. LEADER AT START. TWO PATHS FROM BUXTED. 10 ½ miles 24 stiles. Villages, quiet meadows, parkland, woodland and views. Picnic. UP, OVER AND DOWN. 4 ½ miles 2 stiles. Alfriston to foot of Long Man. Return through Wilmington. One long hill slope. Gary 351553 or 07773 382426. SVP £1 + c.p. charge or use road parking. THE RIVER AND SEA TO OUR RIGHT. 11 miles 3 stiles. Lovely river and coastal walk. Easy not hilly. Picnic. WEY and ARUN CANAL WALK and CRUISE 6th June. See booking form. Booking opens 25th March. Meet 9.45 for bus 51 outside Taxi Office to Eastbourne. Change to bus 5 to Pacific Drive. Roedean. Visit 3 Deans, one steep hill, slightly undulating with good views. BO PEEP AND SHEEP. 6 miles No stiles. From top car park mostly flat with one small hill. Crowborough. Some roads, paths and tracks. Picnic. Meet at 9.45 for bus 51 outside Taxi Office to Eastbourne. Walk along the Prom to café. SEAFORD TO NEWHAVEN. 5 miles 3 stiles. One hill. Coffee at McDonald’s or KFC. 3 stiles. Ted 484923 or 07466 195819. SVP £2. ASHDOWN FOREST – TURNSTILE AND WINDMILL. 10 miles 4 stiles. Heath, woodland, hills and views. Picnic.